I can’t believe it is nearly 5 months since I took on the chairman’s role and a lot has happened since our AGM in October. The modernisation of membership proposals from AGB ruffled quite a few feathers and many clubs have sent in their comments to AGB, the County was among those who challenged some of the plans to change fundamentally classes of membership and methods of membership renewals and we await the outcome of the consultation with interest. The Nott’s indoor championships were one of the most successful in recent years with all sessions being fully booked and it was great to see archers from nearly every club in the County taking part and our thanks go to Sherwood archers for staging such a well run shoot. The winter development training has again had a full house and all those who managed to attend all four sessions have been offered free entry to the Nott’s League shoots and I hope we see many new faces on the shooting line this year as a consequence of this one off opportunity. The outdoor season is almost upon us and I have already been filling out entry forms in anticipation of this year’s shoots, all the local shoots can be viewed on the Nott’s web site and I would encourage early entry to avoid disappointment. 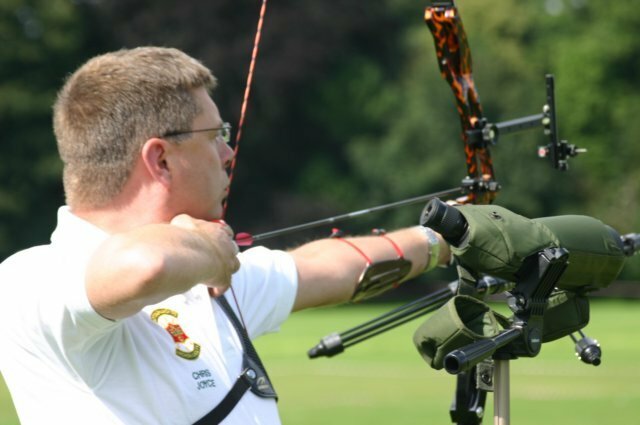 It was with great regret that I learnt that the Panthers Archery club was to cease shooting and the County committee have been in negotiations with several other clubs and organisations to try and continue to offer disabled archery in Nottinghamshire. Most clubs agreed to accommodate any disabled archers who wished to join from Panthers but limitations on disabled access to shooting venues can be a problem. My own club are desperate to get shooting outside and I think we all have suffered bouts of cabin fever due to the poor weather which has limited our opportunities for shooting at distance, the light nights are just around the corner so let’s hope we have a good dry warm period to allow practice for the up and coming competitions.